Whether you are trying to get pregnant naturally or going through Assisted Reproductive Therapy (ART), Traditional Chinese Medicine (TCM) has been clinically proven to increase your chances of a successful pregnancy. 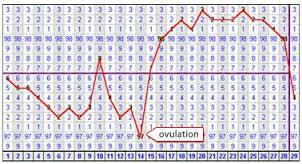 Temporary infertility may occur with the use of certain medications. In most cases, fertility is restored when the medication is stopped. The first step in treating infertility is to understand the cause from both a Western and Chinese medical perspective. 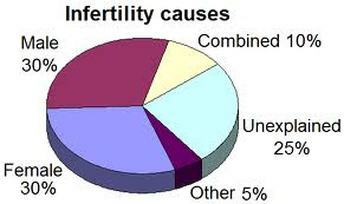 Some conditions that affect fertility can be treated successfully with Chinese medicine alone. Other conditions are best treated by combining Western and Chinese medicine. The primary methods used in Chinese medicine are Chinese herbs, acupuncture, and a fertility diet using Chinese Nutritional Therapy. Additional therapies may also be used to enhance fertility. These may include moxibustion, cupping, guasha, electrical stimulation, and massage therapy. Lifestyle, sleep, and exercise practices will also be explored and addressed during treatment. The goal is to create optimal health and fertility for both the mother, father, and baby. Chinese herbs play an important role in enhancing fertility and treating underlying causes of infertility. They have been used for more than 2,000 years in China to treat conditions related to infertility. They are very safe to take and have virtually no side effects. Chinese herbs are available in pill-form, teas, tinctures, and granules. Although Chinese herbs can be used in conjunction with ART, they are generally not used during IVF due to the doctor’s request. Using acupuncture, Chinese nutritional therapy, and other healing modalities during the entire IVF or IUI process can be very beneficial in attaining a successful pregnancy. A widely published German study found that using acupuncture with IVF achieved a 42% clinical pregnancy rate compared to only 26% in the control group that did not receive acupuncture. When acupuncture and Chinese herbal medicine are used in conjunction with IVF, clinical experience suggests the pregnancy rate can be raised to at least 60%. How does TCM increase your chances of getting pregnant? The ideal time to begin treatment can be anywhere from three to six months prior to wanting to get pregnant or beginning ART. This time frame varies depending on a woman’s state of health and fertility issues. For women about to begin or currently going through ART, treatments can still be helpful. The duration of treatment can vary depending on the underlying condition and the age and general health of the patient. Achieving a successful pregnancy may be quick, within 1-2 months, or prolonged over 6-8 months. Patients are seen initially once a week. Once pregnancy is established, treatment will be administered up to 12 weeks (1st trimester) to ensure a healthy pregnancy. Acupuncture and Chinese herbs also helps with men’s sperm count and sperm quality. In a study published in Fertility and Sterility in 2005, men who received acupuncture had fewer structural defects in sperm and an increase in the number of normal sperm than men who received no acupuncture.